Yes, we set this shot up in advance but it was still so much fun! 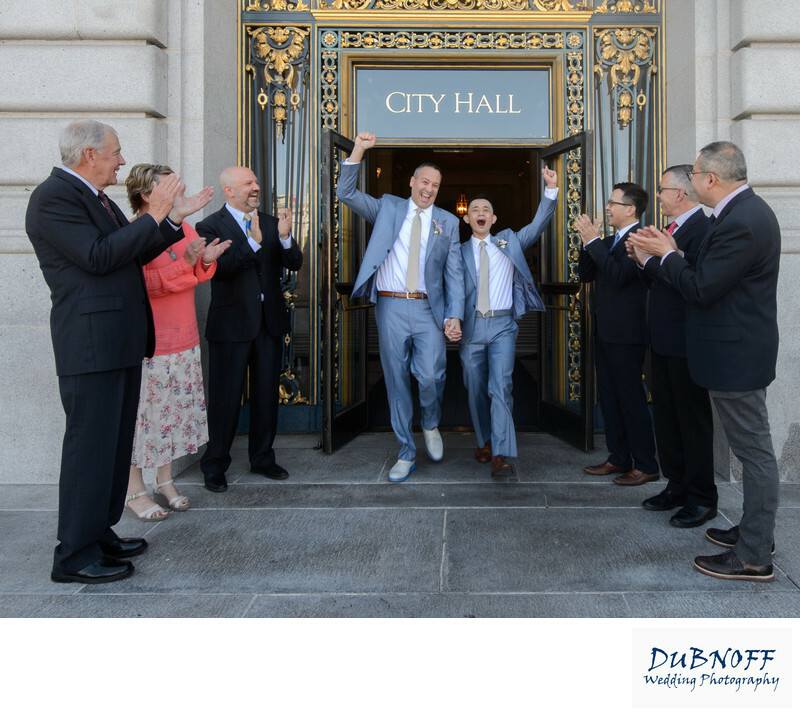 It provided the friends and family of this great couple to celebrate with them as they left San Francisco City Hall as 2 married men! The whole wedding was amazing from start to finish and the grooms were a bundle of fun and energy throughout. This is what City Hall wedding photography is all about!